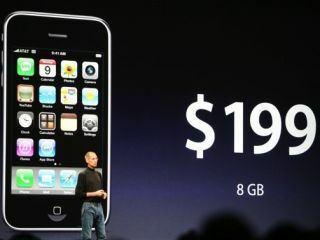 WWDC 2008: No wait for the UK, GPS and it's cheaper too! The new iPhone 3G will be available from July 11 in 22 of the biggest countries around the world. Steve Jobs broke the news to rapturous applause at the Apple WWDC on June 9, which shows Apple has stepped up in the smartphone market. The device will sell for $199 (£100) for the 8GB version, which is a maximum for all around the world. The 16GB version will be available for $299 (£150), and will also come in white. The device is distributed in six countries currently, but Apple want to stretch it to 12 over the coming months. The plan is to offer the iPhone 3G in more territories, stretching to over 20 later in the future, so Apple can leverage its worldwide appeal. The new device will eventually be available in most of South America, most of Scandinavia, and Estonia, Latvia, Lithuania, Denmark, Netherlands and Belgium. "We'll be rolling it out in 70 countries in the next several months. Next time you’re in Malta and you need an iPhone 3G, it'll be there for you," said Steve Jobs. Apple is already working to get deals in these countries, and has already signed off a number of deals.